The Technical Program at the OTC Brasil 2013 was definitely one of the event’s major attractions. There we’re dozens of presentations and panels during each of the 3 days, and it was definitely hard to pick which to attend. I personally went to about 12 of these and not one disappointed me. I have to start somewhere, so I actually chose a presentation from the last day to begin this series. 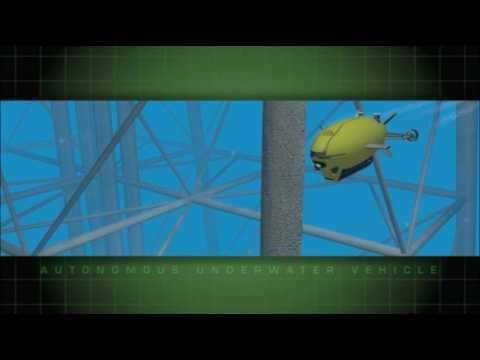 At this point I believe that just about everyone knows what an AUV is, but in case you don’t, it is the acronym for Autonomous Underwater Vehicle. These come in all sorts of shapes and sizes, having various capabilities and possible uses. 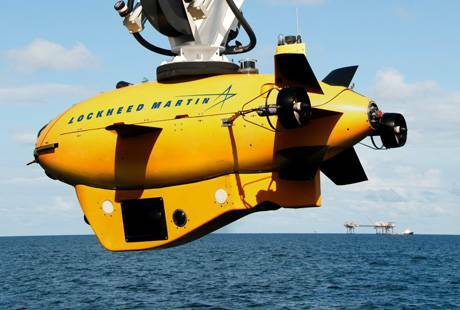 I must admit that I was impressed with the Lockheed Martin Marlin® AUV. At first glance it resembles what you’d expect from any top of the line AUV. Yet on closer examination it offers capabilities that may be real game-changers for the industry. Although the Marlin AUV is being presented as targeted for customers who conduct subsea infrastructure surveys and inspections, it is capable of much more than that, as it can be configured to operate subsea x-mas tree valves, which were up to now a territory solely for ROVs. It can also be useful for simpler tasks such as surveying a large area of uncharted seabed, where an operator plans to place subsea systems, such as x-mas trees, manifolds, subsea pumps and subsea pipelines, during the early phases of field development. 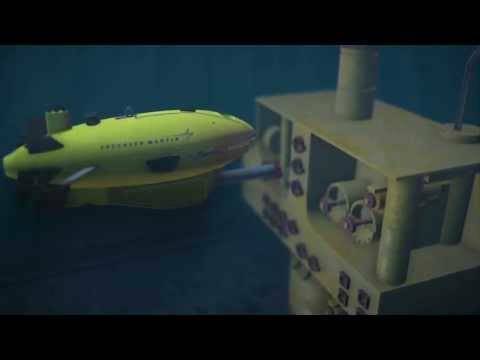 The latest models will also have what is called a residence capability, which allows it to remain docked underwater next to a subsea field for long stretches of time, independent of its control vessel. 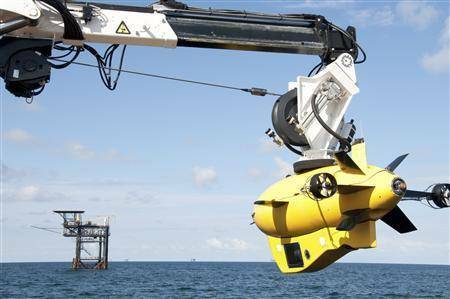 Another major feature is the vehicle’s patented and unique launch and recovery system, allowing it to be released from the surface crane and recovered underwater using a homing system, thereby at least mitigating the downtime caused by heavy seas, which normally cause AUV launching and recovery operations to be aborted. 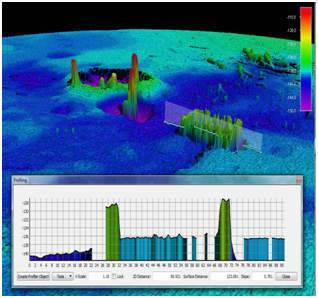 The Marlin’s sensor suite can generate accurate, hi-resolution, 3-D, geo-referenced models, showing a clear view of subsea structures, including the use of lasers to produce clear images in very murky waters. 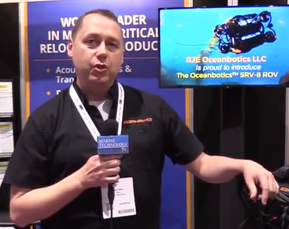 The 10-foot long submersible is highly maneuverable and able to operate in tight spaces. It can reportedly perform up to four times faster inspections, delivering higher fidelity information in hours versus days.